Bespoke for the alarm technician, the ACT 6000 Autoranging Multimeter combines the essential features required for installing, commissioning and fault finding fire and security systems. Fully Autoranging – Every measurement range is fully autoranging. Simply switch on the instrument and start testing, leaving hands free for holding probes. Voltage Measurement – Both AC and DC voltage measurement is possible with the instrument autoranging to match the voltage at the test probes. 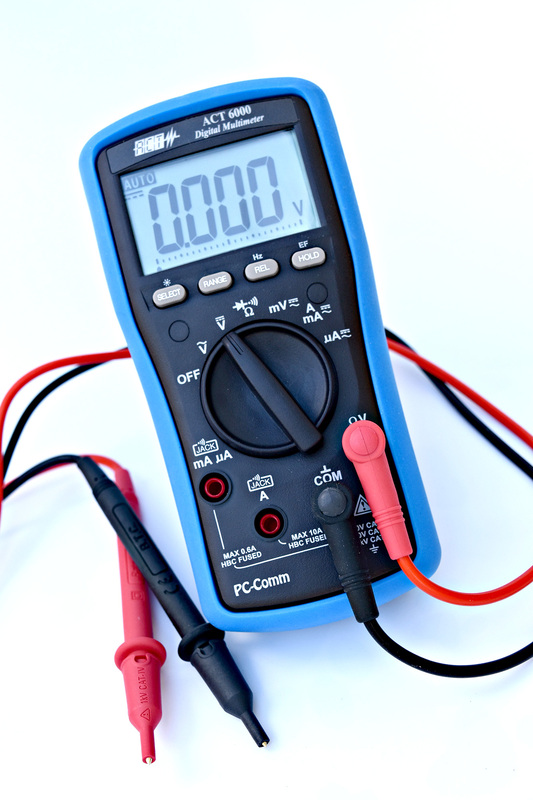 Voltage measurements up to 1000V are permitted without damage to the instrument. 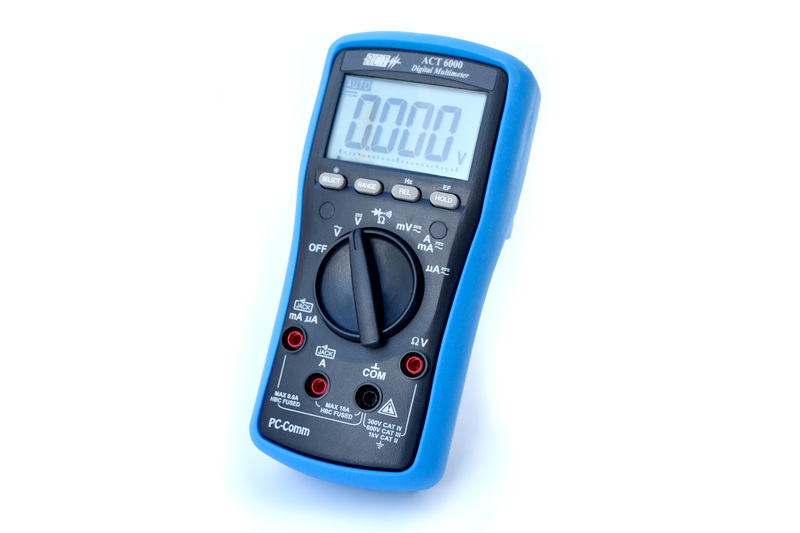 Current Measurement – Three ranges are provided for current measurement of either AC or DC current from 0.1μA to 10A. Fused inputs protect both the user and the instrument in the case of excess current. Resistance, Continuity and Diode Testing – Resistance can be measured directly on the ohms range from 0Ω up to 60MΩ. A continuity buzzer range is also available for checking low resistance between two points. The buzzer sounding if the resistance is less than 20Ω. Additionally, a diode range exists for testing forward and reverse bias operation of transistors and diodes. Data Hold – This allows a displayed result to be held on the display until needed, rather than trying to remember a measurement. The result will be held until the HOLD button is pressed again, or until the unit switches off. Mode – When making current measurements the mode function allows the selection of AC and DC measurement. Separate Battery and Fuse Compartment – This means that both battery and fuses can be replaced without opening the main instrument body and breaking or invalidating the calibration seal. Simple Operation – The ACT 6000 is easy to navigate with large buttons and central dial. Simple in use with straight forward options to select from the large high contrast 6000 count backlit display with high speed analogue bargraph. Armoured Casing – Encased within a tough rubber holster, the ACT 6000 is well protected especially when being used in a industrial setting.